When it comes to shopping, a little research goes a long way. And Japan is no exception. Whether it be auto insurance or toilet paper, there are several good resources avaliable for the thrifty shopper looking to compare. NB: The websites below are all in Japanese but should be relatively easy to navigate with a dictionary or Google Translate. Price comparison websites (kakaku hikaku saito 価格比較サイト) are all the rage in these lean economic times. 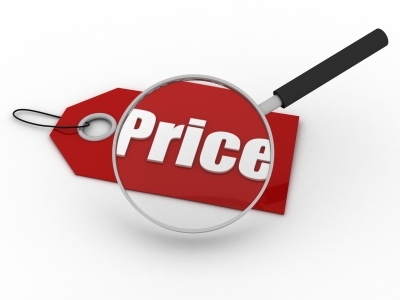 They allow you to search for a given product and compare prices across several major online retailers. One of the most popular sites on the Japanese internet is kakaku.com. This site originally started as a means to compare the price of electronic goods, but now it covers everything from broadband internet providers to building supplies. Its a good idea to check out this site before you make any big purchase. Another competitor is coneco.net, which offers a similar range of services including price comparisons, shipping costs, reviews and so on. Google Shopping is a decent option, too. Also worth a look is shufoo.net which focuses almost entirely on pamphlets and fliers distributed by local supermarkets and brick and mortar retailers. While not a true price comparison site per se, shufoo.net gives you one convenient location to look for weekly bargains. Many of these sites are partnered with certain major retailers so they might give results slightly in favor of their paying clients. That being said, sites like kakaku.com often have specials deals only accessible to people comparing prices with them (often the case with broadband deals especially). Do note that these cost comparing websites generally don't show prices for shops hosted on rakuten or yahoo shopping.